Dentist, Cosmetic & restorative services, Crowns, bridges, Dentures, Dental Implants, Tooth Whitening, Porcelain Veneers, Periodontics, Root Canal Therapy, Nitrous Oxide Sedation. 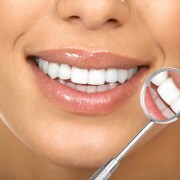 Our commitment is to apply our dental knowledge and skills in a caring and gentle way, so you can feel at ease as we help you attain the smile you desire. From general dentistry to cutting-edge procedures like dental implants, we employ the latest educational and technological advances to help youget the bite you need and the smile you want . Removal of Wisdom Teeth & Impacted Teeth. Exposure of Teeth for Orthodontics Dental Implant Surgery. Corrective Jaw Surgery and Trauma & Jaw Fracture Treatment TMJ Consutlation. 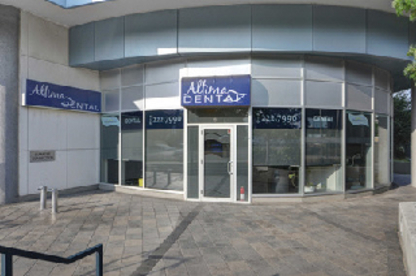 Gloucester Dental Centre is the place for all your family dentistry needs. High quality customer service with a smile, come visit us! Serving the downtown professional community since 1990; Come visit us, you'll appreciate our very friendly staff & our completely renovated office! Years of embarrassing and painful problems may be corrected in one appointment. 20 years of experience in the dental industry. Located in the McArthur Medical Center in Vanier, Dr. Vo Loan DMD offers general dentistry services such as implants, veneers, crowns and bridges. The office of Dr. Sam Lee, provides General & Family Dentistry, Cosmetic Dentistry and Orthodontics including Invisalign®, using the latest technologies that dentistry has to offer. Our team of dentistry and cosmetic specialists strives to provide our patients with the best possible service. Visit our site to learn about the services we offer. Get to know your dentist: The best way to find a new dentist in Bel Air Heights ON is to get to know them personally before you require dental care – we are talking about someone who spends a lot of time poking around your mouth with metal instruments, after all. Look for dentists that make you feel comfortable. Important questions to ask when considering dentists are; dental office hours, after hours availability, what your dental plan covers and if emergency dental services are available on a moment’s notice.